Specialists in the distribution of Active Pharmaceutical Ingredients. 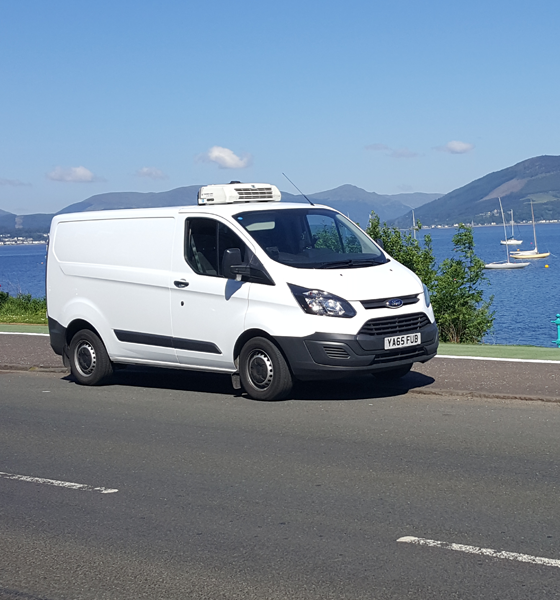 LF&E Transport provide qualitative temperature controlled API specialist courier services throughout the United Kingdom and Northern Ireland. We understand the critical processes required for launching new drugs to market and the rigorous scientific research that is required to be undertaken before, and perhaps after, launch. Having a robust audit trail for any element of the logistics chain is essential, with accurate and complete audit trails of journey temperature recording at all stages of product movement. LF&E have a flexible and agile infrastructure, enabling prompt response to customer demand. With its network of regional locations LF&E can provide guaranteed same day or pre-planned scheduled next day deliveries as standard. Call 0845 64 30 138 to speak to a leading API distributor. We pride ourselves on delivering a friendly and professional service to each of our clients by putting their needs at the heart of what we do. We have built up years of experience transporting sensitive goods for the food industry, healthcare and medical companies. Every order can be monitored using our state of the art tracking technology, giving you the confidence in where your shipment is 100% of the time. 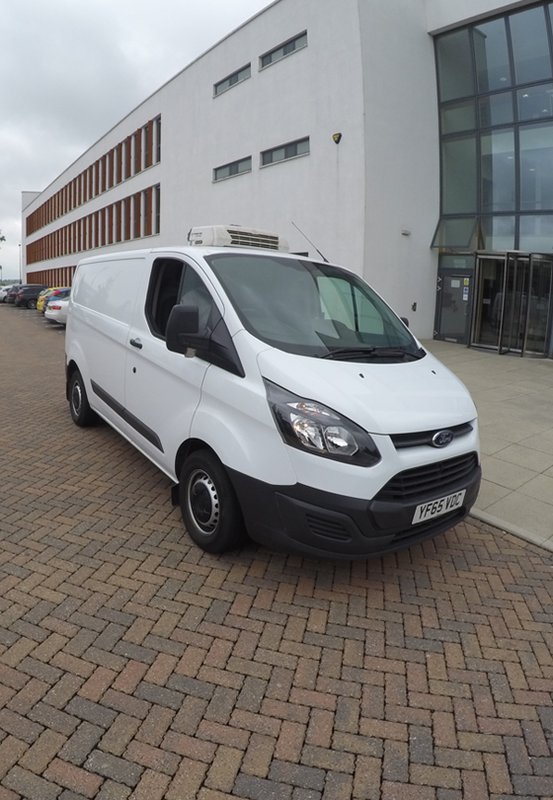 We have the capability to support Multi Temperature consignments on one delivery, with our Dual Temperature vans. 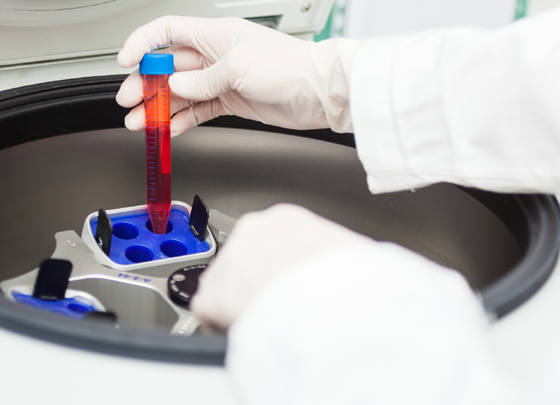 We work in full compliance with the EU Good Distribution Practice, and adhere to the UK Government’s MHRA guidelines. We believe that communication is key and make sure that you can always access information about your order. Working in an industry sector where time and temperature sensitive deliveries are imperative it is key obtaining the right logistics partner and LF&E are certainly that. It is a pleasure to work with a company that has the same ethos of customer service, attention to detail and willingness to assist and go the extra mile ensuring that they exceeded our expectations. LF&E are our sole logistics provider for specialised medicines, we have employed their services since the inception of Medicines by Design & they have never let us down, they understand that they are the face of our business and we see them as an extension of our business. I have worked with them across 3 business’ in the last 7 years and have always been happy with the service. LF&E and their drivers provide a professional, discreet service which is essential for the nature of the products that we provide. They tailored a bespoke service to work around our business and, in our experience, staff and drivers are always willing to go an extra mile to help us if we hit any odd logistical problems, which has been a refreshing change – thank you! LF&E work to Industry Regulation standards including GDP (Goods Distribution Practice), GMP (Good Manufacturing Practice), GLP (Good Laboratory Practice) and GCP (Good Clinical Practice). Our refrigerated and ambient transport service is designed and engineered to meet the complex and specialist needs of the pharmaceutical API industry. LF&E provide a robust, reliable and fully auditable service to ensure products reach the required destination at the right time and within the product specific storage conditions throughout the total journey period. With over 30 years’ experience across its management team, LF&E have a wealth of knowledge and expertise in developing and delivering services to this highly regulation compliant industry sector. Working in partnership with our customers, LF&E have the flexibility to develop and comply with bespoke customer specific operating procedures which define any product or customer specific requirements. Upon joining LF&E, all drivers undergo a comprehensive induction programme which is further enhanced by service or product specific training to ensure all customer requirements are met at all times by members of the team. We offer a bespoke as standard approach to your API requirements, from a single parcel to bulk pallets. LF&E are flexible and tailor solutions to your exact requirements for Active Pharmaceutical Ingredients logistics. In addition, we are able to facilitate temperature controlled and monitored ambient or refrigerated storage via our network of providers, all of whom comply with MHRA Regulations. 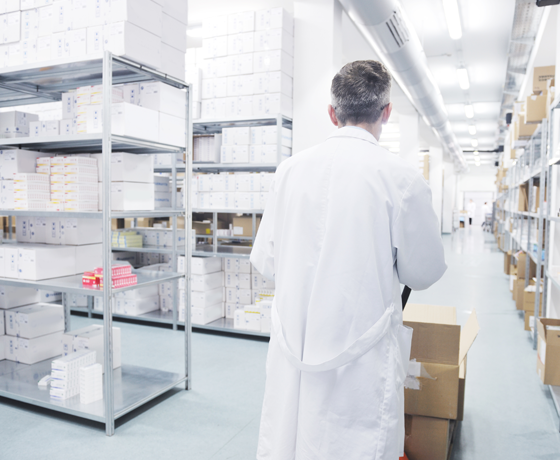 With a dedicated fleet of pharmaceutical transport vehicles, maintained to the highest standards, you can be assured that your Active Pharmaceutical Ingredients transport requirements are in the safest hands. Specialising in API deliveries, LF&E facilitate deliveries via its own network of vehicles to locations throughout the UK; operating with a team of over 40 directly-employed drivers providing a timely, compliant and responsive service to customer needs. Our fleet of vehicles have dual load capabilities, and transportation compartments are calibrated on a pre-determined regular basis. All vehicles are fitted with on-board temperature monitoring systems to ensure conditions are continuously monitored by the driver. The LF&E Logistics Team also have the functionality to remotely monitor temperature within all vehicles at all times. The team can therefore take preventative and corrective action in a timely manner in the event of an unforeseen temperature change during consignment transportation. This facility provides our customers with the reassurance that their API goods will be delivered right first time, on time, and with a documented fully auditable temperature record. LF&E are one of the UK’s leading temperature controlled logistics service providers. In addition to Northern England & Northern Ireland we also have a presence in Scotland including The Highlands and service these remote areas on a daily basis even at short notice. 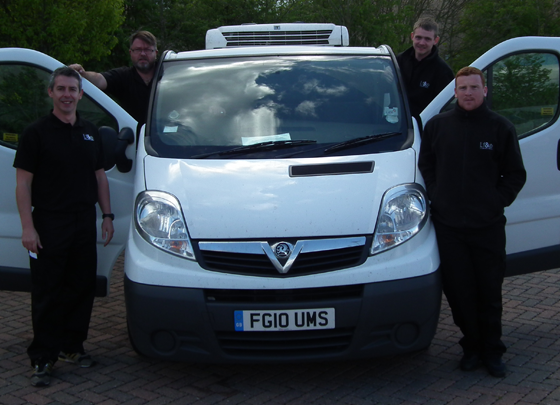 With over 40 refrigerated vans on fleet, LF&E have the network to deliver nationwide and on demand. All vehicles have real time tracking including temperature monitoring to ensure we are ready to go when you are. LF&E’s drivers are courteous, trained to the highest standards of client confidentiality and they understand what they are delivering and why it is important that the client receives their consignment on time, everytime. LF&E drivers are DBS checked and carry identification. They are professional in their appearance with uniforms and are trained in handling clinical waste, sharps bins and have cytotoxic awareness. When transporting temperature-sensitive consignments, how prepared are you if something goes wrong with a refrigerated load? 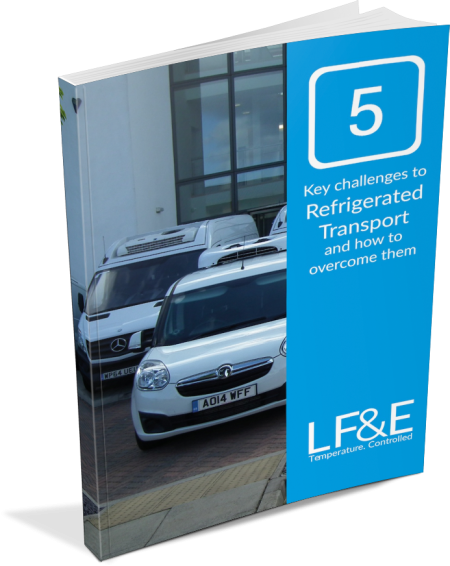 Download our eBook and learn more about the key challenges to refrigerated transportation.